The causes of allergies are numerous, and can sometimes be very obvious. Most of the time, the allergies show up in the form of skin problems or nasal congestion. However, in some cases, the causes can be a little less clear, and this can make the allergies difficult to treat. Read on for more information about uncommon causes of allergies and how to manage them. The reason behind your skin rashes or other skin problems could be the cosmetics you are applying to your face. This could include cleanser, moisturizer, or any kind of make-up. 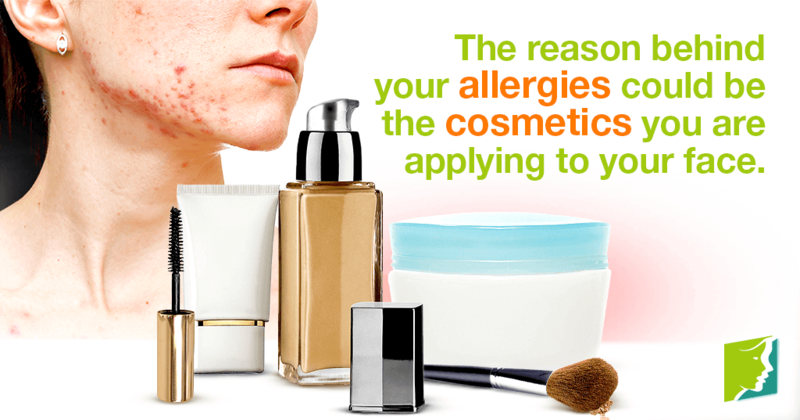 If you think that cosmetics are the reason behind your allergies, then it might be worth seeking natural products or hypo-allergenic makeup. Fragrances and other compounds in lotions applied to the body can also trigger allergic skin rashes. By using more skin-friendly products, you should find your allergies disappear. Unless you make a special effort to buy completely natural and eco-friendly clothes, then the chances are that what you wear contains a range of synthetic compounds, and these can sometimes react with skin. Many people are confused about why allergies are suddenly occurring as they do not equate them with the clothes they are wearing. By modifying what you wear, you might find that in the absence of fabric coatings or dyes, your skin condition will improve. Sometimes, the source of allergies can be certain animals, especially pets. In general, this normally occurs with furry animals, as it is the dander or parasites that live on the hair that are the cause of certain allergic reactions. Reaction include skin rashes, bumpy skin, and congestion. It is best in these instances to avoid the animal in question or be prepared with nasal sprays or antihistamines if you are to come unavoidably into contact with an animal, such as when visiting people who have pets. Nickel is the most common metal allergen, but a wide variety of both everyday and obscure metals - from aluminum to gold to rhodium - can induce a skin reaction. Jewelry is the most common culprit, but even zippers and buttons on jeans and shirts can present a problem. Stainless steel jewelry and nonmetal fasteners typically resolve the issue. Infections can be easily picked up from the surrounding environment, so the symptoms of the infection can often be mistaken for allergic reactions. Itchy skin can be caused by a yeast infection such as thrush, for example, and such infections can usually be cleared up through an over-the-counter cream. There are many causes of allergies, and the list above is not exhaustive, but it does give some idea of the more uncommon causes of allergies. Normally, allergies will be caused by other things, such as pollen, but things like cosmetics and clothes can also be a cause.